I downloaded the Trail version of flex monster today. 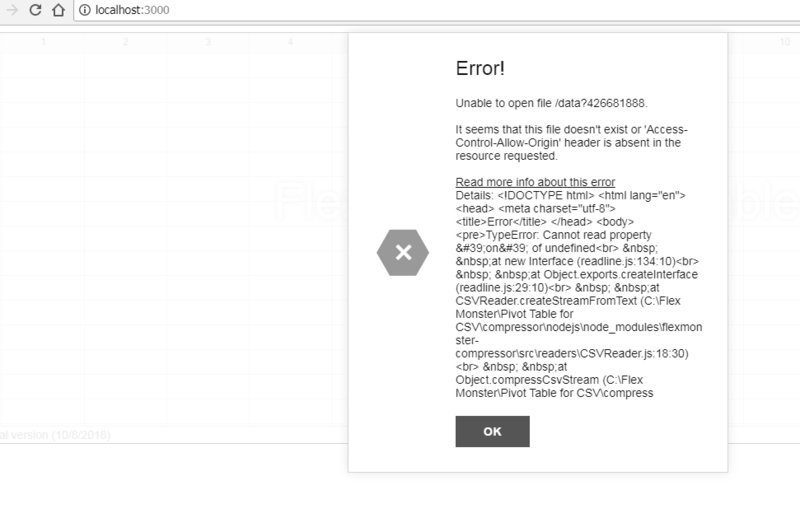 I am getting the below error while trying to launch the demo application using flexmonster compressor (nodejs, using CSV file). I have enabled CORS as well. Can someone please help me with this. Thank you for your interest in Flexmonster Pivot! Flexmonster Data Compressor requires Node.js version 8.x. We suggest updating to the newer version of Node.js and everything should work fine. Please let me know if it helps. Thanks, Tanya. I will update to newer version and check.